Do you have to wait for the handy man (or woman!) to turn up if you want a picture or year planner put on your office wall? With the 3M Command Strips it really is a two minute job. And when you want to replace your year planner for next year – not a problem. Just stick a new command strip to the new planner and lock on to the exisiting one already on your wall. It really is that easy! 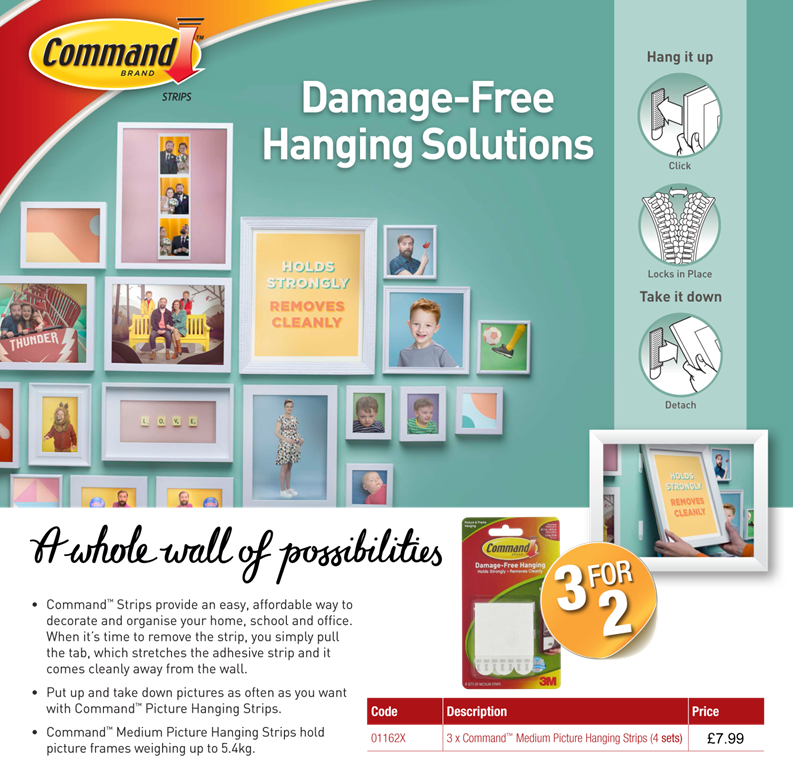 With a great 3 for 2 offer on at the moment they are hugely discounted- add them to your office stationery order today.